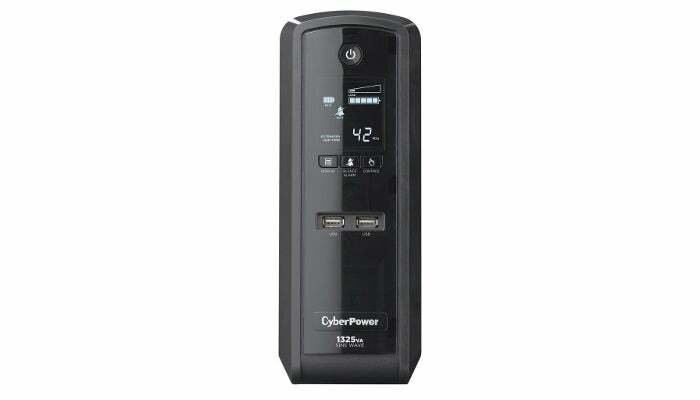 The CyberPower GX1325U should protect your devices and keep them on when the power goes out—yes, even desktop systems with a finicky PSU. If you’re serious about protecting your PC—and any unsaved work or game you might have open on it—you need an uninterruptible power supply (UPS). A UPS is a surge protector and emergency battery in one, meant to keep devices safe and humming along when the power goes out. Right now, Newegg has a particularly good model on sale: The retailer has dropped the CyberPower GX1325U to just $125. That's $65 cheaper than the going price at other retailers. This UPS is an 1325 VA / 810 watt unit with pure sine wave output. That last bit isn’t a pop quiz from high school—a pure sine wave is supposed to offer a more reliable transition from your local electrical grid to battery power, especially for sensitive PC power supplies. It’s also the most expensive type of output to produce, which is part of the reason it’s nice to catch this UPS on sale. 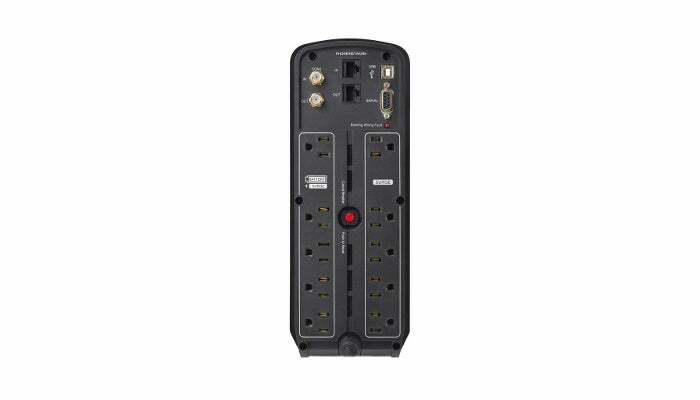 The CyberPower GX1325U has ten three-prong outlets on the back: Five supply battery power and protect against power surges, while another five are only for surge protection. The two rows are clearly marked to make it easy to know which is which. This model also has a pair of coaxial in/out connectors, a pair of phone jacks, a serial port, and a USB type-B connector. On the front, you get two USB Type-A ports that share a single amp of power together, as well as an LCD panel that lets you know the status of the UPS (including estimated time left on the battery). User reviews do note that some units smell odd and need airing out, but otherwise, this is a solid UPS.